Full Grain Leather UppersFull grain leather uppers offer outstanding waterproof comfort, breathability, and durability. 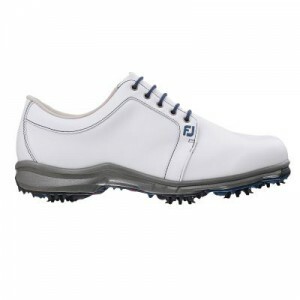 Limited 1-Year Waterproof GuaranteeFootJoy warrants that this golf shoe will be waterproof in normal use for one year. DuraMax™ Rubber OutsoleDuraMax is a proprietary rubber compound that provides turf gripping performance and durability.